Newcastle manager Rafa Benitez admits he is unsure what budget he will be given in January as uncertainty continues over Mike Ashley's ownership of the club. The Magpies spent just £22.5m in the summer window and further investment in the squad is in doubt, with Ashley keen to sell the club but yet to receive an "acceptable" offer. Newcastle are yet to win in the Premier League this season but Benitez is confident he has a squad capable of avoiding relegation and says he has a proven record of success while working with a limited budget. "I was talking with Steve Nixon today, the head of recruitment, and not talking about January," said Benitez. "I don't know my budget but it is not a problem. I'm used to working without big money in all my teams - not at Liverpool, Chelsea or even Real Madrid were we spending big money. "We were still achieving something. I have confidence we will do it with this group of people, with this staff and these players. "We can achieve what we want to achieve, which at the moment is to stay up." 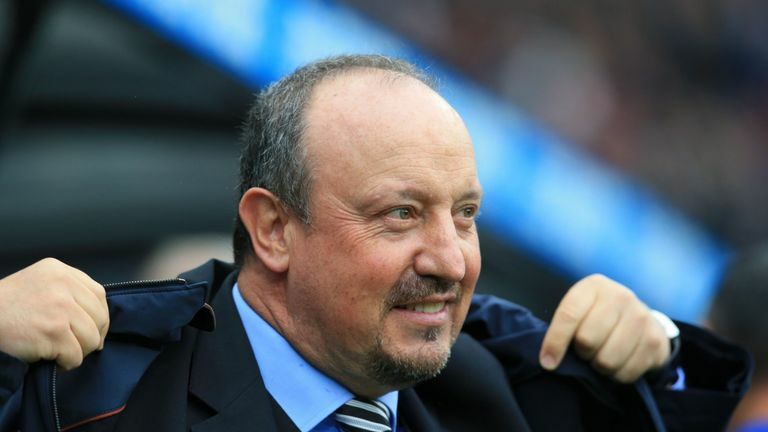 Newcastle finished 10th in the Premier League last season but Benitez expects the current campaign to prove a much tougher task due to the summer recruitment made by other clubs. "This year, when you see the teams that have been promoted, they have spent around £100m," said Benitez. "It is even more difficult this year than last year. But I still have confidence because the team is more or less the same, the new players are settled and the atmosphere is quite good." Newcastle will be aiming to record their first home win of the campaign when they host Brighton on Saturday. Brighton captain Bruno has claimed Newcastle fans could turn on their team if the Seagulls take an early lead at St James' Park - but Benitez expects the home support to stick by their players. "The first win is always the most difficult. As soon as we win the game we will start to have more confidence and it will be easier for us," said Benitez. "We are playing at home - our fans have something to prove, that Bruno was wrong. Bruno was saying that the fans will be on top of the players if something is wrong. "Our fans are very clever, they know this team cares and they are working really hard. One of our strengths is our fans. If they see something wrong they will still support the team. "I am sure at the end of the game and end of the season everyone will be happy."